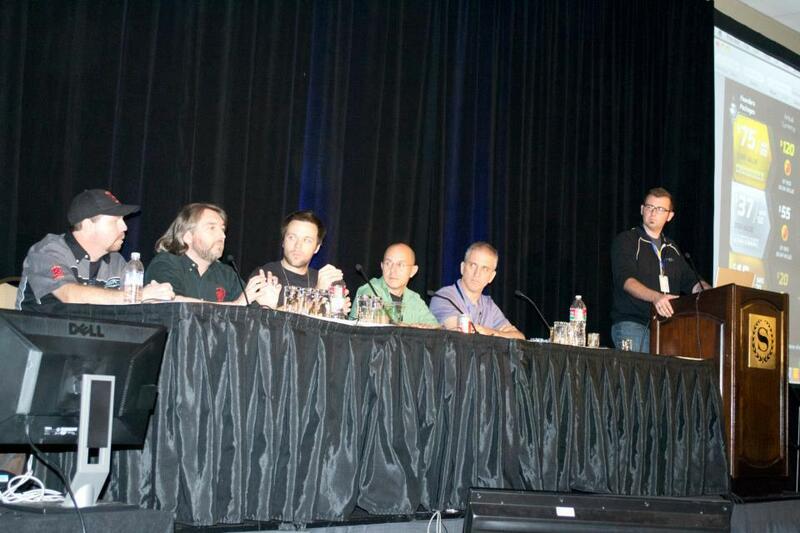 The videos from the panel at PAX are now online for your viewing pleasure. Huge thanks to the ever awesome folks over at MMORPG.com who once again hosted the session that is fast becoming a PAX tradition. You can see footage from the event here as myself, Scott Youngblood (Red 5 Studios), Matt Higby (SOE), Scott Hartsman (Trion), and Max Schaefer (Runic) answer a bunch of interesting questions from nearly 1,000 curious audience members about everything MMO. We had a lot of fun, and there were some interesting questions and hopefully some insightful answers, so make sure you check out the videos!